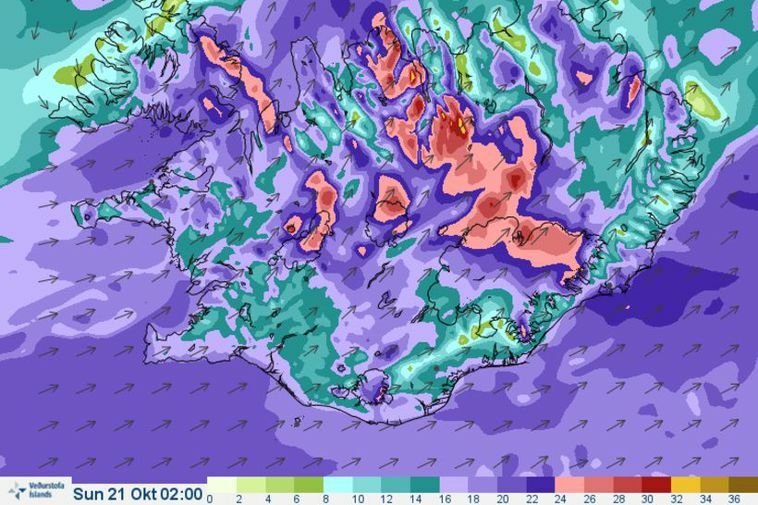 Varað er við m The Iceland Met Office has issued a storm warning for tonight and tomorrow with winds strongest in the West and East Fjords. Tomorrow night, winds of up to 40 m/s are expected. The winds are accompanied by heavy rain. On Sunday the weather is set to calm down and next week the weather will change, with frost expected.